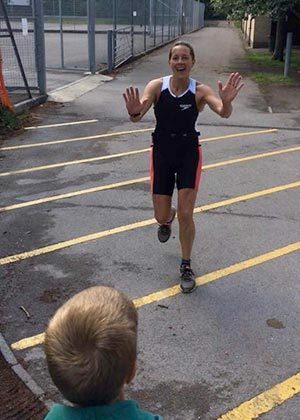 Last year Kettler sponsored Triathlon athlete Mireille Cook. 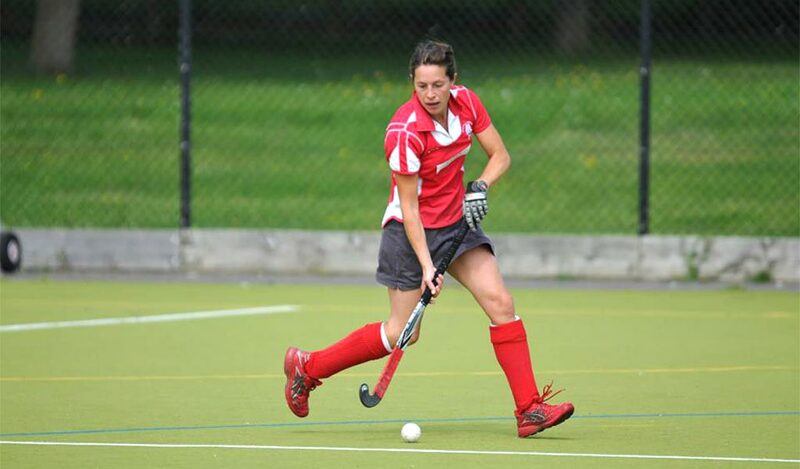 Mireille competes for Great Britain on an international level. Last summer she won the bronze medal in her age group at the Triathlon World Championships. Her journey from beginner to competitor took two years. I have always been sporty, having played hockey since I was a teenager. But I was always a jack of all trades, master of none! Hockey gave me a great base fitness for running, which is probably my strongest part of triathlon now. The main drive for doing sport though is that I am massively competitive (mainly against myself) and exercise is how I relax. In the Summer of 2014, (always up for a new challenge!) 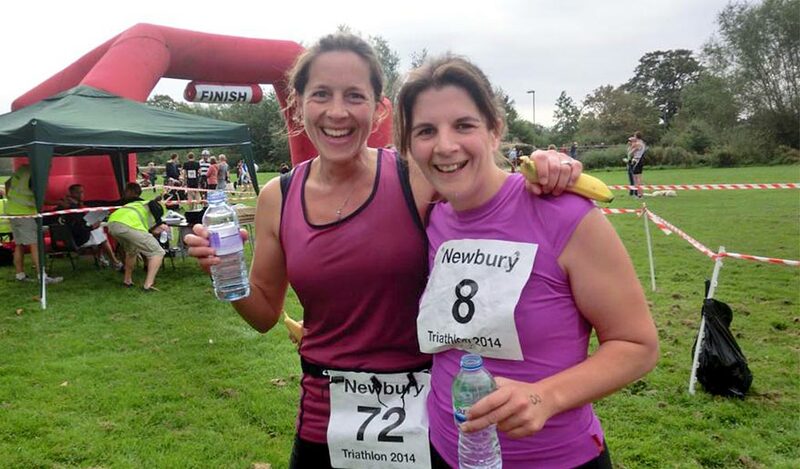 I decided to take part in a local Sprint Distance Triathlon in my hometown of Newbury. After a few of my friends had done one I was intrigued to try a triathlon. I had no real swim experience but knew that I probably had enough basic fitness to manage the bike and run sections. I did no training for it and had no proper triathlon kit back then so cobbled together some bits and pieces to be able to do the race. I did the 600m Lido swim in some cycling shorts and a sports bra, then stuck on a t-shirt for the 20k cycle and 5k run. Without a proper road bike, I used my Mountain bike (decidedly non-aerodynamic!) for the bike section. I absolutely LOVED the event – it was fun, informal, friendly and I really enjoyed the challenge of changing from 1 discipline to another. I don’t know where I finished but it certainly was nowhere near the Podium! Triathlon was something I was aware of, but it wasn’t until friends recommended it that I decided to get involved. There is so much variety with triathlon it is easy to enjoy. Nor do you have to be amazing at 1 particular sport, which was great for me as I was more of an all-rounder. The great thing about Triathlon is that anyone can do them, especially the shorter distance events. You just need to be able to swim (any stroke), own a pair of trainers and a bike! This meant I could take up competing straight away. After the Newbury Triathlon in 2014, I decided I would like to be more competitive. I realised I would need to get better in all 3 disciplines – especially swimming. I started training properly in the Spring of 2015, which basically consisted of lots of short sessions at the pool, reading/youtube research on swimming and a few lessons. At that point, I started to really enjoy swimming so I joined a club. It all went on from there! Before I knew it, I was fitting in a couple of swim sessions, run sessions and bike rides a week. I just had to learn the art of waking at 6am and getting it done before the family awoke! One of the main advantages of training for triathlon is that you generally have a licence to eat as much as you like! It’s definitely a motivator! The only change to my diet is that I make sure I drink lots of water and eat plenty of protein. The hardest thing is that during the race season I tend not to drink much and I do miss being able to enjoy a glass or 2 of wine! Do you take a break during Christmas? OH yes! I definitely take a break around Christmas! I think it’s important not to train hard all the time and have a bit of downtime. There is no real routine around Christmas so I just tend to pop out for the odd run to blow away the cobwebs and if the weather is bad I use my Kettler Racer S Indoor training bike, which is perfect for working out whilst watching a movie!